Custom-built four channel CATS GC used at background air and tower sites. 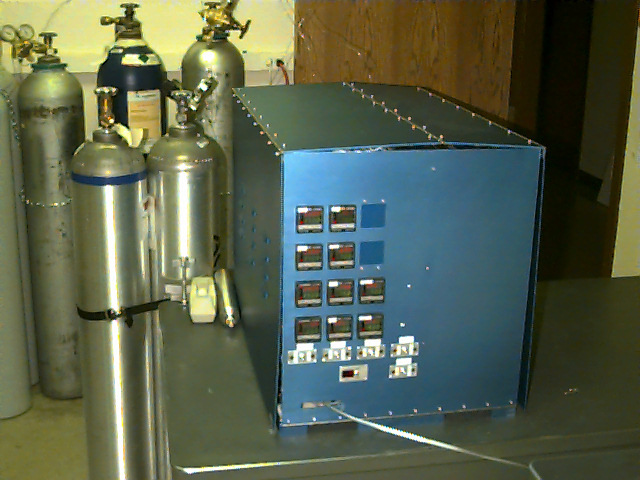 The HATS Group has designed and constructed gas chromatographic systems used in the measurement of trace gases in the upper and lower atmosphere, pollution studies, combustion work, and oceanic studies. 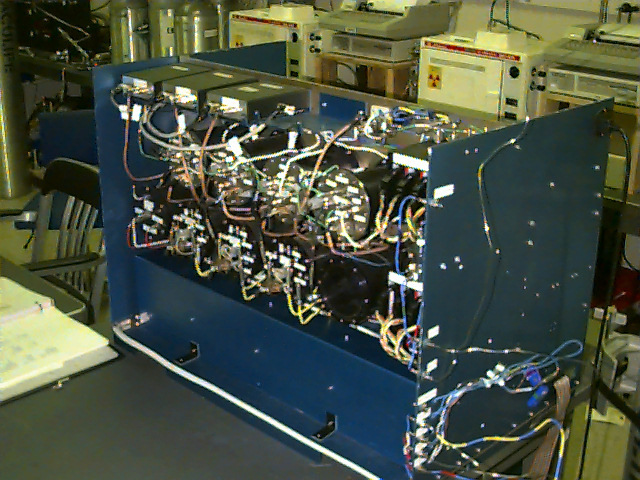 We also have produced many unique individual components (electrometers, flow controllers, pressure controllers, etc.) for gas chromatographs (GCs). Our particular expertise is high precision measurement requirements using electron capture detectors (ECDs) or mass spectrometric detectors (MSDs) with either packed column and capillary column gas chromatography. We are interested in collaboration with organizations that conduct trace gas research within our lab's mission. Our clients have included the Canadian Department of Energy (DoE) , the Atmospheric Environment Service (AES) of Environment Canada, German Forschungszentrum Jülich GmbH. (KFA), US National Center for Atmospheric Research (NCAR), US National Aeronautics and Space Administration (NASA), Australian Commonwealth Scientific and Industrial Research Organisation (CSIRO), Methyl Bromide Coalition, Alternative Fluorocarbons Environmental Acceptability Study (AFEAS), and Harvard University. For more information, please contact Dr. James W. Elkins (+1 303 497 6224; James.W.Elkins@noaa.gov ).